Hey there. I need to get out of the office for a few days. Recently, I've felt like a slave to the desk. Files upon files are beginning to pile up and I swear that if I wanted to, I could build a fort with them. lol I'll only need to gut it out for a week or so more since I'll be getting my vacation (or time off) starting on April 18th!!! Don't think I'll be heading anywhere, but it sure will be nice to not worry about the office politics and what not. I've already told myself that come next vacation time, I'll be taking 2 weeks and we'll be heading off to some foreign country. 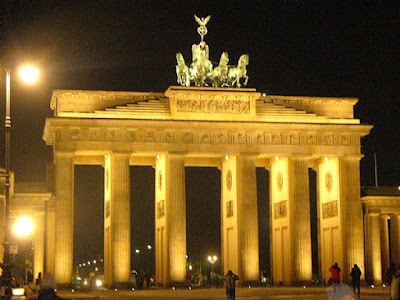 Maybe someplace in Europe, like Germany and feast my eyes on the Brandenburg Gate in Berlin. I've never traveled to a place where I don't know the language so I've been advised that it would be wise to get some important documents, like your passport and birth certificate, translated to the countries language. This way, if you're in a bind, you'll have documents that local officials and offices can easily read. There are many translation services online and on mobile devices, but they won't provide you with a printed translation. It's almost a necessity to have all your document translation in tow before heading out to new lands. I think I'm ready to venture to a foreign land and explore it's culture and beauty. I've even gone on and tried to learn some German. It's not as easy as I would have hoped but as long as I know some of the basics, I should be alright. Guten Tag! Guten Morgen! Übersetzungsdienst! (That's translation services in German lol!!!) You gotta be well prepared my friends. Later! I need a vacation too. I can only count the seconds for so long. I have been a same feeling for quite some time now, since I have hardly traveled anywhere in the past 2 years.